For over a decade, I spent my Easter Vigils stuffing over 200 plastic eggs for our four kids. I realize it may have been an over-obsessive amount of eggs, but I blame it on my Latin roots (read: my mother), because God forgive me if we have unexpected guests and not enough food, drink, wine, or Easter eggs for everyone to go home happy. Last year I stuffed the eggs with a combination of candy, money, and lotto scratchers. Now with two kids in college, one in high school, and our (6 foot tall) baby finishing up middle school this year, I've decided to call it quits. 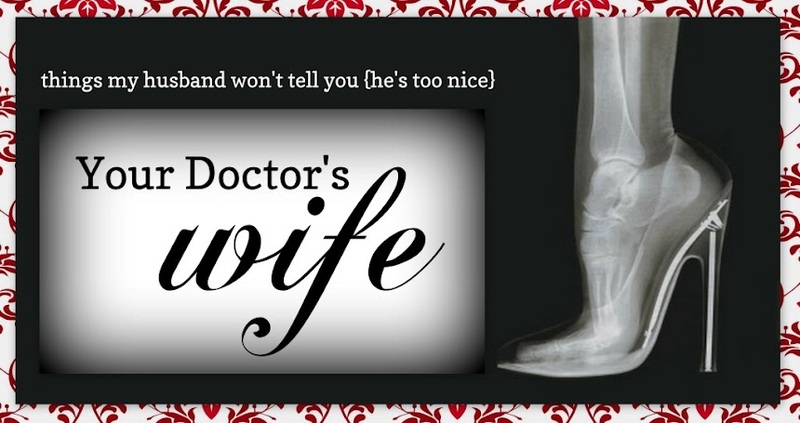 Your Doctor's Wife can stuff it no longer. I bought the kids Easter cards and chocolate bunnies. However, I now realize I made one fatal flaw in my Easter plans. I bought the chocolate bunnies too early. 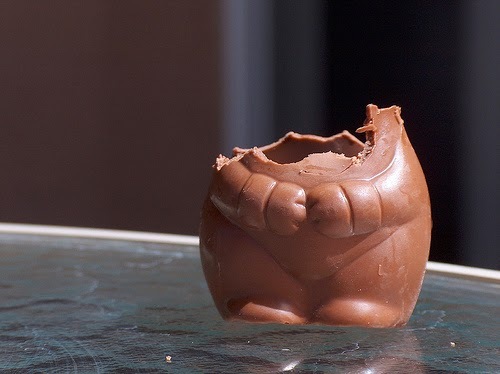 Yes, my friends... this past week, in various fits of stress, I ate the four chocolate bunnies. One by one. The good news is that the bunnies didn't suffer. They were devoured quite quickly. So now, on Easter, my kids will get a card. A card. I don't feel bad about it. At all. Haha! I just finished stuffin eggs and baskets for my boys (6 & 4). There would be a mutiny around here if there was no chocolate bunny for the 6 year old. He share your passion for chocolate. It's the only part of me in him; the rest is all his daddy. Mine are both in high school, and didn't want to do eggs this year. So for Easter they each got a package of peeps with a (relatively) giant stuffed peep. The edible peeps are the same color as the stuffie. So one got pink, the other orange. Their grandmother got them each a book. They seem happy enough with the arrangement. I have 2 elementary school aged children who got Easter baskets with 2 big chocolate bunnies. They will ask to eat something from their basket, pick out one small piece of candy and that's it for the day. At this rate, their basket will be empty by the time Christmas rolls around. (I really shouldn't complain about that) I swear, if they don't start on these bunnies that are staring at me right now, I'm going to bite off body parts or devour them entirely. I should have made myself a basket! I do feel like a kind of failure this year. I just couldn't do the easter stuff. We had dinner with family at our home... the idea of all the candy and hoopla just didn't interest me this year. And I didn't need the extra sugar in the house. Luckily, my mother in law brought a few eggs to hide and all was happy.